If you and your spouse both work full- or part-time outside the home, you may think homeschooling is out of the question. Although having both parents working outside the home does make homeschooling trickier, with efficient planning and creative scheduling, it can be done. Here are some practical tips for successfully homeschooling while working outside the home. Perhaps the most difficult aspect of homeschooling when both parents work is figuring out the logistics. This can be especially tricky when young children are involved. One of the easiest ways to ensure that there is always a parent at home with the children is to alternate work shifts with your spouse. Alternating shifts also helps with school. One parent can work with the student on a few subjects while he or she is home, leaving the remaining subjects for the other parent. Maybe Dad is the math and science guy while Mom excels at history and English. Splitting up the schoolwork allows each parent to contribute and to work to his or her strengths. If you are a single parent of young children, or you and your spouse are unable or unwilling to alternate shifts (because that can put a strain on both the marriage and family), consider your childcare options. You may want to enlist the help of relatives or consider hiring reliable childcare. Parents of teens may decide that their kids can stay home alone during the parents’ working hours. Maturity level and security concerns should be taken into serious consideration, but it is often a viable option for a mature, self-motivated teen. Extended family may be able to provide childcare and oversee schoolwork that your child can do with minimal help and supervision. You might also consider hiring an older homeschooled teen or college student to provide childcare if there are only a few overlapping hours in the working parents’ schedules. You may even consider exchanging child care for rent if you have extra space available. 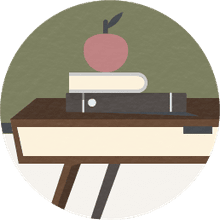 If you and your spouse are both working full-time, you’ll probably want to consider homeschool curriculum that your children on their own, such as textbooks, computer-based curriculum, or online classes. You might also consider mixing independent work that your children can do during your work shifts with more activity-based lessons you can do in the evenings or on weekends. In addition to the curriculum that your kids can complete on their own, you might also consider homeschool classes and co-ops. Many co-ops do require that the parents of the kids enrolled to take an active role, but others do not. In addition to regular co-ops, many areas offer group classes for homeschoolers. Most classes meet two or three days per week. Students enroll in and pay for the classes that meet their needs. Either of these options can meet the scheduling needs of working parents and provide in-person teachers for core classes and/or desired electives. Whatever you decide to do as far as curriculum and classes go, take advantage of the flexibility that homeschooling offers. For example, homeschooling doesn't have to take place from 8 a.m. to 3 p.m., Monday through Friday. You can do school in the mornings before going to work, in the evenings after work, and on the weekends. Use historical fiction, literature, and engaging biographies as your family’s bedtime stories. Science experiments can make exciting family activities in the evenings or on the weekend. Weekends are also the perfect time for a family field trip. Working homeschool families encourage thinking creatively about activities with educational value. If your kids are on sports teams or take a class such as gymnastics, karate, or archery, count that as their P.E. time. Use dinner prep and household chores to teach them home economics skills. If they teach themselves a skill such as sewing, playing an instrument, or drawing during their free time, give them credit for the time invested. Be aware of the educational opportunities in the everyday aspects of your lives. If there's still too much for everyone, consider what you may be able to hire out. Perhaps just having someone clean your bathrooms once a week would lighten the load or maybe you need to hire someone to maintain the lawn. Homeschooling while working outside the home can be challenging, but with planning, flexibility, and teamwork, it can be done, and the rewards will be worth the effort. Homeschooling Continues to Rise. Find Out Why!